It delivers dependable, uniform process heat with no need for high pressures. With a superior life span, Therminol 58 provides excellent performance over the fluid life when compared to common mineral oil-based fluids as well as lower-tier synthetic heat transfer fluids. 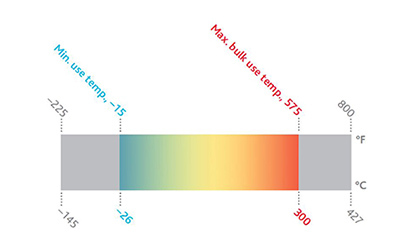 Optimal pumpability—Non-sludge-producing chemistry enables pumpability at lower temperatures than the majority of other mineral oil-based heat transfer fluids. Excellent compatibility—Therminol 58 is noncorrosive to metals commonly used in the construction of heat transfer systems. Excellent resistance to fouling—Therminol 58 has been shown to be significantly less sensitive than mineral oils to the negative consequences (sludging, fouling) of thermal oxidation.